Previously, I wrote about the rise of the small cellars in DO Montsant which, unsurprisingly was well-received by those in this DO who have been working hard to present a unified front of quality wines in a relatively new appellation. But in praising their efforts, the larger cellars, and more specifically, the cooperatives appeared to have been offended by this. Cooperatives, despite seeming such an integral part of Catalan wine now, were born out of a necessity as this was a broken land at the end of the 19th century. Phylloxera was the ruin of many and those who managed to replant were then forced to endure WWI and then of course the Spanish Civil War. It was a dark time for the people of Catalonia but especially the viticulturists who somehow managed to endure. Even to this day, there are some with bullet holes in the walls of their cellars as reminders to this time. The cooperatives formed a bridge that spanned these dark times. There was an evolution within many of the cooperatives from being simply a place of safety to a beacon in the villages in which they were founded. While few bottled wines from decades-past remain, the lasting legacy from this period can still be seen in the “Cathedrals of Wine” that rise up out of the villages, crafted from the local stones by architects such as Cèsar Martinell, Pere Domènech, and others. That said, it’s easy to criticize the cooperatives. I don’t need to go in to detail of the various things I’ve either witnessed first hand or heard second hand as the truth is, they’re nearly all the same complaints that can be made against many large private cellars. “In vino veritas” is very much open to interpretation. But the issue is not in whether a cellar is a cooperative or private but in size and unlike what Americans will tell you, bigger is most assuredly not always better. For when a producer of wine rises to gargantuan levels of production and is blending wine from all over a region you lose that most quintessential core to wine, its sense of place. In a recent tasting I guided for DOQ Priorat about the Vi de Vila, I made the comparison to poetry. If you think of each vineyard as a separate stanza in a poem, a wine as a single poem, and the DO as a collection of these poems, you can see that by mixing several vineyards similar to each other together, you can create a beautiful piece of work. One of the vineyards works to take the rough edges off another. If read by themselves, maybe something would be lacking, but together, they are, well, poetry. Every so often, there is one vineyard that can stand on its own, strong on all points and you make a single wine from this; much as there are poems that are incredibly brief but perfect just as they are. These are the Vins de Finca or in France, Grand Crus. But if a poet needs to making a longer work and takes pieces from all over, he or she will then find that what they have to do to make everything fit together would be unfortunate. One piece often fights with the other and you need to blunt it with yet another until you’ve ultimately created a work that while generally cohesive lacks any true character. And this is the real issue in modern winemaking at both cooperatives and private cellars in Catalonia and around the world and this is why “terroir” has become such a buzzword in recent times are people are trying to find what it is about a specific wine that makes it special and emblematic to that region. And why is this important? Because if we didn’t have it, we’d all buy the cheapest wine because there wouldn’t be any poems, just collections of words that show little uniqueness from others in the world. One reading this would assume that I’m of the opinion that a large winery is thus incapable of creating something unique and special but if the desire is there, they certainly are can. In a trip earlier this year up to the Rhône Valley I stopped by the Cooperative of Tain l’Hermitage. There, they’re are creating both mass market, blended wines as well as those from single, tiny appellations and those from single vineyards. 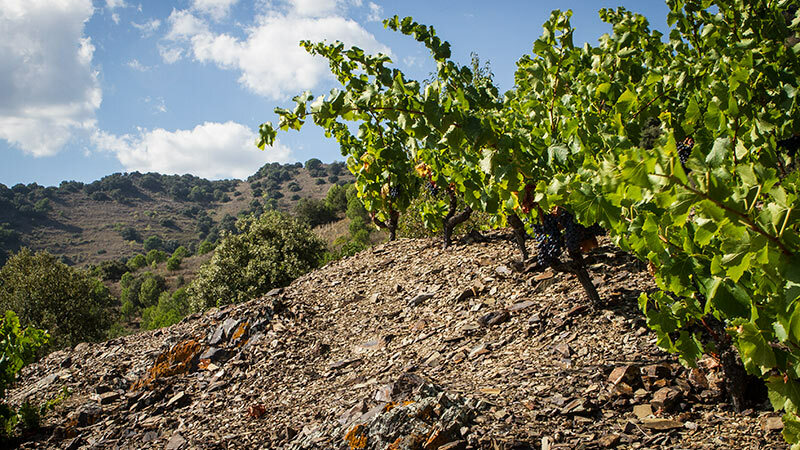 Locally, the most expensive wine in Spain, l’Ermita is produced by Álvaro Palacios from a single vineyard despite the fact that his winery is one of the top three in terms of production in Priorat. It is most assuredly possible to find these single poems if the enologists are allowed to work as authors instead of just someone hired to make sure the printing press doesn’t jam up. I can assure you that this change in wines is not due to someone like me shooting my mouth off about the subject but due to the fact that people are looking for not only what is local but also what has an origin or what those in marketing love to call, “a story”. Those who either can’t or choose not to evolve to meet this will be passed up by those who are happy to change. I really enjoyed reading this; I am most definitely stealing the poem/stanza/DO comparison as it is really very lovely! I tend to find consumers go a little too far the other way at times, assuming that large companies are not capable of producing anything but bland, mass-market wine, which as you stipulated is not true. Sherry shippers, anyone? I’m still working on smoothing it out a bit but I’m generally happy with the analogy as I think it expresses the intention. Now I just have to say it more smoothly in Catalan as such things go over well and I tend to come off a bit blunt as it’s not my native language. This article and the one before it have caused me a good deal of grief with the cooperatives here as they see it as a direct affront, which is isn’t. Thankfully, I think you got what I was saying as you read the whole article!